Namita Jaspal, with inherited skills of art and aesthetics and passion for science, opted to pursue post- graduation in ‘Conservation of Cultural Property’ after her graduation in Science from Delhi University in 1992. Four year intense training at National Museum Institute provided the right foundation to start a career in Conservation. She is currently practicing conservation consultancy for Heritage property including monuments and collections. 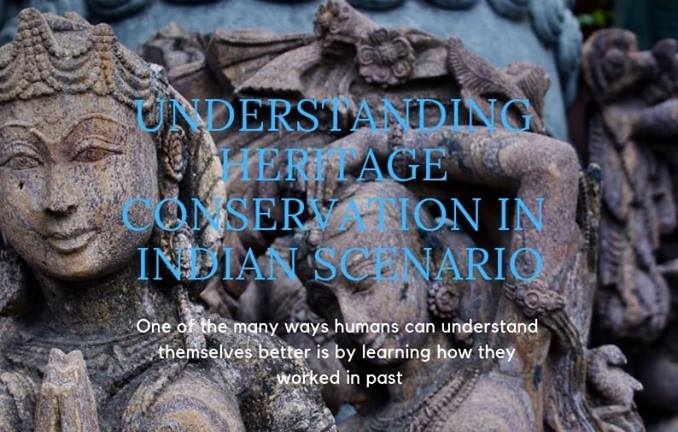 She has been doing independent research in conservation techniques and procedures in Indian context. She has worked on the conservation of wall-paintings of Sri Harmandir Sahib Ji (The Golden temple at Amritsar. The project is getting a lot of appreciation for the organized and ethical treatment has provided. It is for the first time in the history of Sri Harmandir Sahib Ji (The Golden Temple) that wall painting conservation and preservation is being done in a scientific manner, keeping the codes of Ethics into consideration while decision making. Another project just completed is of the Conservation of Krishna Temple at Kishankot, Gurdaspur, Punjab. In her private Conservation Laboratory, she is not only providing conservation services, but also mentoring young aspiring conservators and archaeologists by the way of training and paid internships. She has been a guest lecturer at DIHRM (Delhi Institute of Heritage Research and Management). With all the updated knowledge database and innovative practical approaches relevant to the Indian conditions, she could successfully do curative and preservative treatment of very old textiles like a nine feet long flag from nineteenth century that is regarded as priceless memorabilia of second Dogra regiment at Chandi Mandir, and four hundred years old (seventeenth century) Chola Sahib Ji of Sixth Guru of Sikhs, Sri Hargobind Sahib Ji. Apart from this she has done conservation of Photograph collections, archival records, numerous paintings, manuscripts and other cultural objects. She is also involved in preparation of up-gradation proposals for museums and such organizations. These days she is also keeping herself busy by teaching and sharing her experience and knowledge of heritage conservation. Archival conservation projects taken up by her team are also getting popular. Her expertise includes Conservation and preservation technologies and procedures for conservation of varied material like wall paintings, paper, photographs, textile, ceramics, stone, metal and archaeological objects.